LEDON uses eco-friendly, non-toxic, long-lasting and maintenance-free material only. That is not the cheapest way to produce playground equipment, but we think it’s the better way. All polyethylene boards are especially developed for LEDON, aiming at getting the best possible quality. 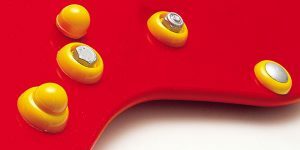 The material is maintenance-free and extremely hard-wearing – even scratches and fissures do not reduce its durability. The boards are non-toxic and comply with EN71 (safety requirements for toys) as well as with the requirements of the United States Food & Drug Administration (FDA) as outlined in the CFR (Code of Federal Regulations) Title 21, Section 177.1520. 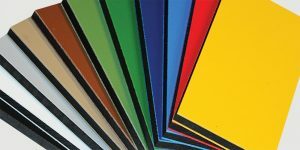 Our polyethylene boards are available in 11 different colours with a black core. The boards are UV-stabilized regarding both shape and colour. We give 5 years guarantee on considerable fading. All handles are made of nylon (PA6), have round edges and are shaped to offer good grip. This reduces eye and dental injuries. Fingers won’t freeze to them. All parts are UV-stabilized regarding shape and colour. They are impact-proof from -40°C to +110°C. All parts are maintenance-free. 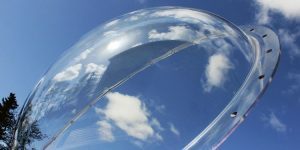 All LEDON’s domes and windows are made of crystal clear polycarbonate (PCA). Polycarbonate is extremely impact-proof from -40°C to +120°C – which in fact means it is indestructable. It does not change colour and does not contain any heavy metals. Window frames are made of maintenance-free polyethylene. 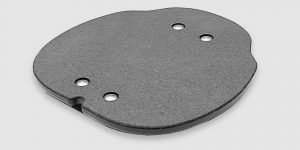 Our skid-proof polyethylene board is coated with a 3 mm rubber layer. Being a gimmick from the car industry, it also provides our playground items with extremely durable and skid-proof surfaces. We use this board for all stepping and seating surfaces. LEDON’s springs are made of 18 mm special steel that can be bent in all directions. After the coiling process, the springs are treated with zink and phosphor and then covered with an impact-proof polyester lacquer. 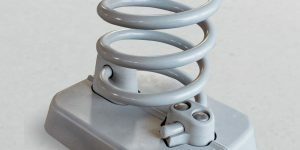 The springs are made so no fingers will be pinched, and our patented spring fixing with self-locking nuts allow for the spring to be fixed at one point only in each end. This ensures a long operating life with a very low risk of a breaking spring. The springs are delivered with a cover for the bottom part. 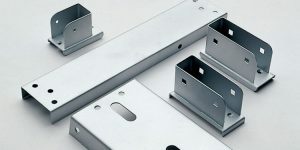 Most of our playground items are assembled with either bolts, screws or specially designed aluminium bushes. 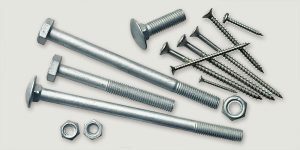 All screws and bolts are made of stainless or galvanized steel. All fittings have got round edges and are hot-dip galvanized. All metal pipes and posts are hot-dip galvanized to avoid rust. 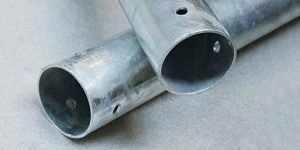 Metal pipes make a very stable construction and do not deform. 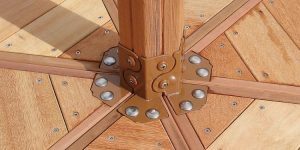 All nuts and bolt ends are capped with nut covers, protecting children from sharp edges and the playground items from unwanted demounting. All ropes and nets are made of six strands with eight steel wires each, that is a total of 48 steel wires protecting against vandalism. 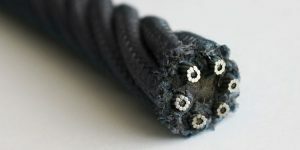 The rope can take a peak load up to 4,500 kg and does not brittle nor get slack. All climbing nets are put together with joints of impact-proof nylon (PA6). Wooden floors and posts are made of hard wood – e.g. canadian cedar, mandioquira or robinia. These wood sorts are very hard-wearing with a high content of natural oils or tanning acids (all FSC-certified). There is a 10 years guarantee against dry rot and mould, plus we deliver our posts with metal shoes for extra protection (except Robinia). Our wood is maintenance-free, but you can give it some high quality wood oil if you wish to keep the original colouring. Only products that are identified as such in this catalogue are FSC-certified.